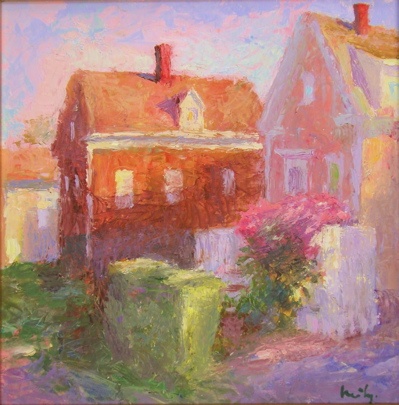 Born in Vermont and a resident of Provincetown since 1968, Neily studied various theories of painting before developing a strong interest in Plein Air Painting. 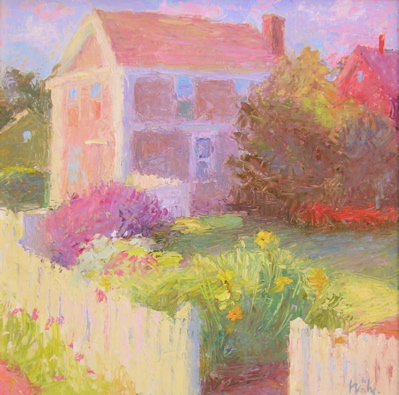 This interest led her to study at the Cape School of Art in Provincetown, with Henry Hensche for 15 years beginning in 1974. 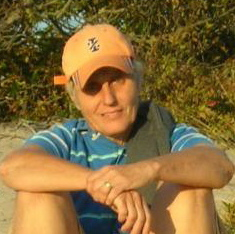 Today Neily is a master painter in her own right and is considered to be one of the Cape School’s most adept practitioners. 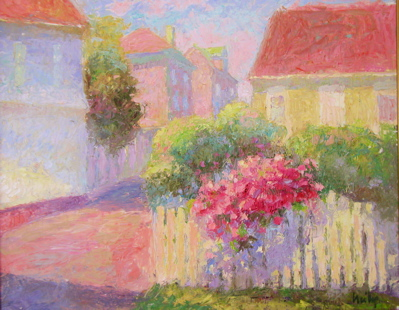 She paints in Provincetown in the Summer and in Winter she lives and paints in Florida and travels to paint in France and Italy. 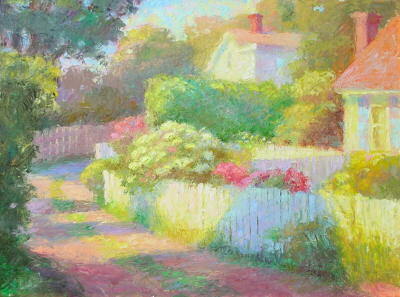 Neily teaches at the Provinctown Art Association Museum School in July. 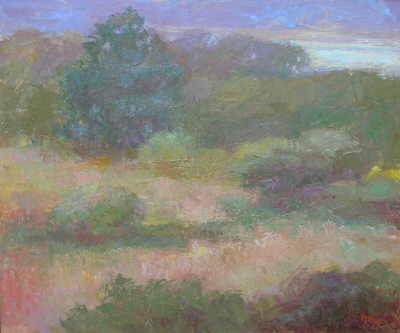 Plein Air Painting, initiated in France more than a century ago is marked by it’s primary emphasis on how light conditions affect the eye’s perception of color. 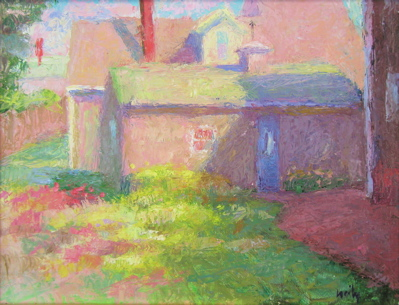 It is done out-of-doors in natural light, with the exception of a North Light Still Life, which is done indoors in natural light. 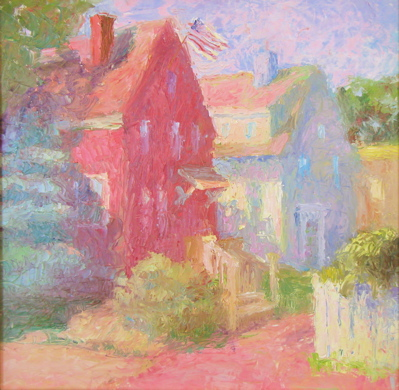 In essence, what one paints is the effect of the light or the “color of the air” has on the inherent color of the subject. 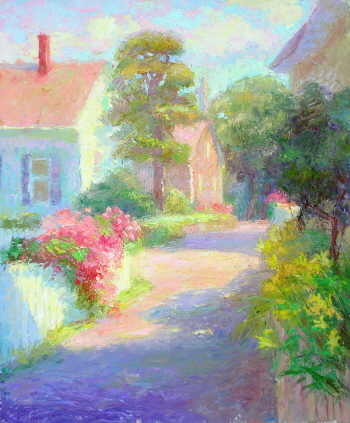 As the quality of the air changes (from Spring to Summer; early morning to noon; sunny to overcast; etc. ), the Impressionist Artist must be able to perceive and depict the changes in color that this creates on the subject. 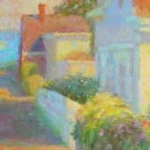 When a specific light condition is chosen for a single painting, for the completed painting to be ‘true’, it can only be worked on under an identical light condition. 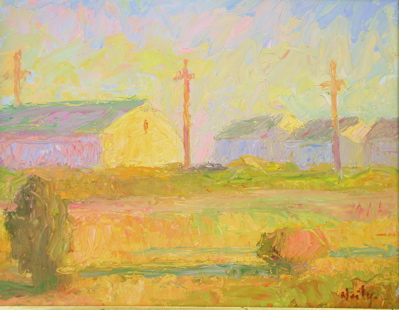 For example, if the day is clear and sunny, a discernible color change occurs every hour, allowing the artist only that hour on that day to work on that specific painting. 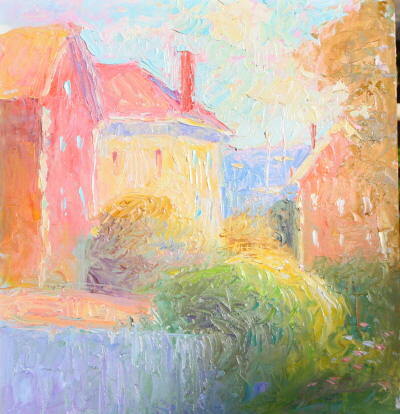 Additional work on that particular painting can only be done during the same hour on a clear and sunny day, and this is repeated until the painting is completed. 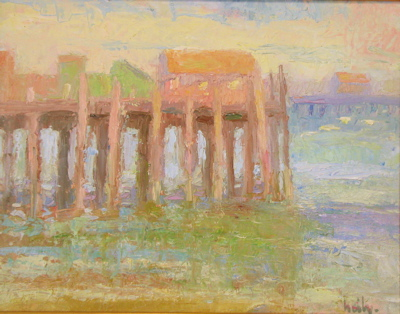 Because of the constant changes in light conditions, it is necessary for an artist to work on several different paintings simultaneously, each painting assigned to a specific light condition. 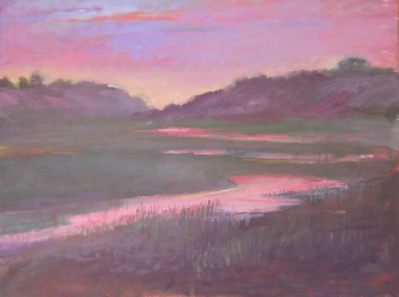 When they are completed, they offer the observer an exciting visual and emotional experience, as well as insight into the dramatic effect that different light conditions have on the perception of color. 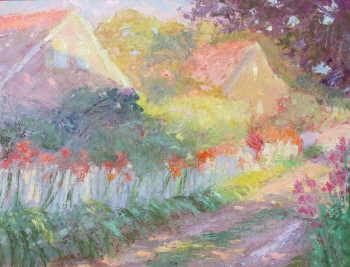 Lane with Daylilies 16" x 20"